Songs from FOR THIS CAUSE, BY YOUR SIDE, UNITED LIVE 1 AND 2, OVERWHELMED and CHRISTMAS - all in one spiral bound book! Perfect for the individual or church, this resource is excellent value for anyone who enjoys Hillsong's music. 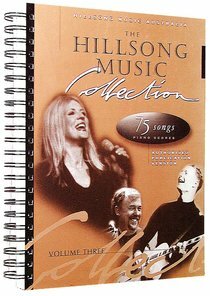 About "Hillsong Collection 3 Music Book"